A Mansfield woman has reached out for help to tackle a drink problem after she was caught driving more than three times over the limit, a court heard. 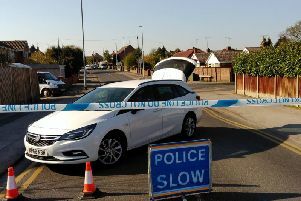 Shelley Howd’s Ford Focus was stopped on Ellsmere Road, Forest Town, at 12.50pm, on June 23, and a test revealed she had 127 microgrammes of alcohol in 100 millilitres of breath, when the legal limit is 35 microgrammes. Howd, 42, of Roseberry Hill, admitted drink driving when she appeared at Mansfield Magistrates Court, on Monday. Probation officer Sarah Alderton said Howd had been out shopping and had not been drinking, but drank two bottles of wine the previous night. She said the mum-of-two had downed two bottles every night for the past two years, and now wanted help for her drinking. “She said she was disgusted by her actions, but wasn’t aware that the alcohol was still in her system,” said Ms Alderton. Howd, who was unrepresented, said she was “very sorry” and needed help. He fined her £120 and ordered her to pay costs of £85 and a victim surcharge of £85. Howd was banned for three years, but was offered a drink drive rehabilitation course which will reduce her disqualification by 25 per cent if completed before July 2019.